Security Issues in the Context of Russian-European Relations. Analyzing the development of relations between Russia and the EU lately, we can state that they have changed significantly which is connected with the establishment of a new format of the EU – Russia dialogue. 1. The reevaluation by European politicians the conflict in Caucasus in 2008. 2. The weakening of influence on the EU-Russia dialogue of some EU member states of Eastern and Central Europe. 3. Orientation of Russia on the development of bilateral relations with the EU member states. The main role within these relations is given to Germany, France, Italy, and Spain. 4. Enhancement of energy positions of Russia in the economies of a number of the EU member-states. 5. The deviation of Russia from this model of dialogue with West, in which Russian authorities at least formally listened to critics of the EU and international institutions. This model is substituted by a more aggressive one, in which any actions of the EU and its members, including critics, are viewed as a threat to Russia security, which in reply is ready to apply adequate counteractions. In other words, Russia will build the relations with the EU and its individual members only from the view of its own interests. As known, a serious damage on political relations between Russia and the European Union was made by the armed conflict of the Russian Federation with Georgia in August 2008. European and international Mass Media viewed Russia as an aggressor and a conflict provoker, which incited the wave of anti-Russian demonstrations and critics towards Russian Government. The attempts of Russia to show another side of the conflict, in which Georgia was responsible for the war actions, were perceived negatively and evaluated as elements of informational war of Russia. Eventually, the EU refused to sign the “Fundamental Agreement on Cooperation and Partnership between the EU and Russia”, which threatened seriously the political image of Russia in Europe. In this respect, the EU started to discuss urgently the prospects of energy supplies diversification. However, in the end of 2008 and during 2009, other facts became public, which touched upon the events in Caucasus and proved that Georgia wasn’t such a victim of this conflict. 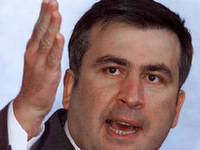 As a result, European states changed their evaluations not only within the issue of one conflict, but also its attitude towards Georgian President Mikheil Saakashvili. Although Europeans are skeptic and negative towards the recognition by Russia of Abkhazia and South Ossetia, nevertheless, this issue is not already a key one within the process of Russian-European dialogue. Except for that, a number of European analysts see in this recognition a negative effect of Kosovo, in the creation of which some European countries were involved. Thus, general reevaluation of the Caucasus conflict of 2008 has improved the attitudes of the most EU states towards Russia. This can be directly proven by the fact that during the security conference held in February this year in Munich, Saakashvili didn’t have a chance to address. Probably, it’s worth mentioning that Mikheil Saakashvili wasn’t even invited, and came only on his own initiative. Also political positions of Russia were strengthened with the defeat of the team of “oranges” within the Ukrainian Presidential elections in 2010. Political crisis in Ukraine in general persuaded many European states about the mistakenness of the idea of democratization of former USSR states with the assistance of “color revolutions” and the withdrawal from the influence of Russia. Eventually, Russia became a master of situation and leaves itself the right to develop the format of relations in the EU and its individual members. This is also promoted by an intransigent position towards Russia and a number of East European countries, and first of all Poland and Lithuania. Naturally, the main opponent in the issue of rapprochement of the EU and Russia was Poland, President of which considered Russia as a main threat to security in the region and former post-Soviet area. And not that perfect relations between Russia and Poland were aggravated by the “Katyn issue”, for the solution of which Poland demands for Moscow to rehabilitate Polish officers shoot down by NKVD. After the second Katyn tragedy when in April near Smolensk died President Lech Kaczynski and accompanying his delegation, which included command staff of Polish Army, hopes appeared that the relations between the two states will improve. Experts note, that today Russia develops its relations not with the EU in general, due to a sound anti-Russian position of a number of member states, but with individual states around a single center of decision-making. And Russia is successful about it. The result of a new position of Russia towards the EU was its restraint from the signing in November 2009 of “Fundamental Agreement with the EU”. In essence, Moscow considered that the “Fundamental Agreement” infringes political interests of Russia, and due to these reasons, views as urgent to limit the cooperation with the EU only with economic relations. The fact is exciting that yet in 2007 Russian center of “Strategic Researches”, headed by Sergey Karaganov, recommended the Kremlin not to sign the “Fundamental Agreement” with the EU. According to analysts, the agreement lays on Russia a number of political liabilities, which directly contradict its interests. Analytical note focused exactly on the development of bilateral political relations with Russia with individual EU member-states. Thus, Russia intends to get political relations with Europe out of the format Russia-EU, limiting only with economic cooperation, into the format of Russia – individual partner states of the EU. Main political and economic partners of Russia include Germany, France, Italy and Spain. In essence, Moscow is assured that they are main players within European area and the position of these states will influence the configuration of Russia-EU relations. Russia also plays efficiently on the interests and expectations of each of these states, which often contradict the EU interests in general. The main economic and political partner of Russia is Germany. Exactly thanks to Germany and the efforts of former Chancellor of the country Gerhard Schröder the accomplishment of energy project of „Nord Stream“ became possible. It’s expected it starts operating in 2011. German diplomacy was the first to treat positively the draft of European Security Treaty, which was presented by Dmitry Medvedev in 2008 and suggested to get back to its discussion. Reminding that due to the conflict in Georgia, this discussion was postponed for indefinite period. And the fact that the Draft project again got into the agenda of German foreign policy also proves the reconsideration of the German-Russian relations. Germany is yet the one EU state positively perceiving the initiative of Russia within the issue of review of European Security Treaty. * Germany has an objective to weaken positions of the USA in Europe and not to allow for their European alliances, for example Great Britain, to have a serious influence on formation of the EU foreign policy strategy. Already in the end of 2009 German Mass Media published a number of critical articles towards Catherine Ashton, who tries to gather around her the representatives of British diplomacy. German analysts are assured that the “weakness” of Ashton is used by England for the strengthening of own positions in the issue of a single EU foreign policy, the content of which can become more pro-American. In this respect, it’s not surprising that Germany tries to restore the geostrategic axis Berlin – Moscow, including France. Lately France has also activated its connections with Russia. This is caused by a special position of Nicolas Sarkozy towards Russia authorities. French experts think that Sarkozy considers himself the only person able to talk to Medvedev and who has found an approach to him. 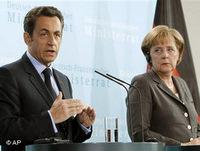 Moreover, Sarkozy is assured that exactly with his efforts the Caucasus conflict was terminated. Russians in their turn, try to enhance the kind of Sarkozy self-esteem and to use the “blindness” of French President for the accomplishment of their own strategic energy project in France as well as in Europe, in general. Nicolas Sarkozy as well as Angela Merkel supported the initiative of Medvedev on “new security pact” and suggested to hold corresponding negotiations within OSCE format. It’s worth mentioning, that current authorities of France uphold the idea of multi-polarity of the world. Moreover, France is against inclusion into the EU and NATO of Ukraine, Georgia and complete push out of Russia from the post-Soviet area. Paris is convinced, Russia doesn’t threat the EU security and should be a full-scale partner of West, and that France is ready to become the main mediator within these relations. This assurance was expressed by the selling to Russia a war-ship “helicopter carrier” of “Mistral” class, despite harsh critics from the USA and the displeasure of other EU members. It’s worth mentioning that one of the supporters of this contract was Sarkozy personally. Except for that, pro-Russian team in France is quite representative. It includes Prime-Minister of France Francois Fillon (sincere admirer of Russian culture), who lobbied the signing of long-term gas contracts between “Gazprom” and “Electricite de France”. Also Bernard Folker (a reporter, representative and consultant of Anglo-Belgian analytical corporation “GPlus”) plays a significant role within the extension of Russian influence within Media area. Except for that, Folker also is a consultant of “Gazprom” within the issues of business and negotiations in France. The same important achievement of Russia, even on a symbolic level, is the purchasing in 2009 by Aleksander Pugachev of 85% of shares of one of famous French newspaper France-Soir. By the way, A. Pugachev – the son of Russian businessman and oligarch Sergey Pugachev, who has really close and friendly relations with Vladimir Putin. It is considered that Sergey Pugachev is one of the shade figures who financed and still finance Vladimir Putin. It can be stated that Russia has achieved significant successes within the relations with Russia and naturally, France will be one of the main representatives of Russian interests in the EU. The development of Russian-Italian relations is also beneficial for Russia. This January Dmitry Medvedev and Silvio Berlusconi signed 18 intergovernmental agreements in the sphere of economy, culture, science and etc. One of important achievements was the signing of the agreement between “Gazprom” and Italian energy company “Eni” (“Gazprom” partner in the“South Stream” construction) on joint responsibility on the “South Stream” construction. Economic relations between the two states lie in the ground of political cooperation. Russia expects that Italy will join the block of “allies” of Russia, when the case will touch upon the solution of the issues of political security in Europe without the USA. In the same range the relations of Russia with Spain should be observed. The only exclusion is that these relations with Russia ground not on economic, but political aspects. Economic relations of Russia and Spain are really weak, however there is a number of political moments which get these states closer. First of all, it’s important to note that there are no contradictions that could be related to history or political or geopolitical processes in present. The common between these states are internal problems, which regularly aggravate and often in connection with international conflicts – this is a threat of separatism and terrorism. Spain as well as Russia was an opponent to the recognition of Kosovo independence, fearing negative consequences for itself. In this respect, Russia expects that Spain will also become an important strategic partner within the issues of European security. Thus Moscow will build its relations with the EU relying on its main partners exclusively, expecting from them a support of its initiatives. The main mechanism of a bilateral rapprochement with Russia is inclusion of Germany, France, Italy into own economic projects, beyond “new” and small EU member-states. The final political objective of Russia is the establishment of an axis “Moscow-Berlin-Paris” and to join Rome and Madrid to it. Naturally, Russia strives to become a main player of European policy, gradually weakening positions of the USA in Europe, using the contradictions between the EU and the USA. Except for that, Russia considers urgent to reform OSCE structure and the common system of security in Europe, which was developed with an active participation of the USA. Two biggest post-Soviet states after Russia also support the reforming of OSCE. This is the OSCE Chair Kazakhstan and Ukraine, that recently was in anti-Russian group. For Moscow the kind of support is very important. Especially on the eve of the OSCE Summit to be held in the capital of Kazakhstan Astana. It is expected that this Summit will include serious discussions during which the USA and its allies will oppose to OSCE reforms. For West OSCE has been and is still a significant political mechanism to extend democracy first of all within the states of Eastern Europe, which contradicts the geopolitical interests of Russia itself. Russia will develop the new system and structure of security considering its interests.